Sappho to Suffrage: Women who dared runs in the Treasury until 24 February 2019. Pirates and poets; suffragettes and explorers – this exhibition celebrates the achievements of women who dared to do the unexpected. 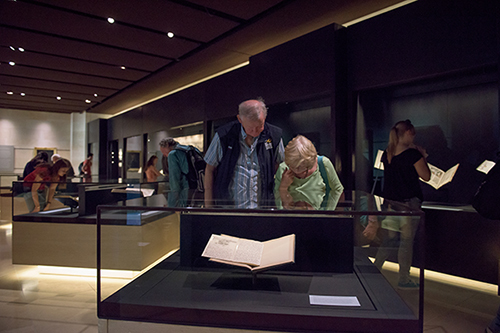 Sappho to Suffrage showcases some of the Bodleian’s most remarkable and treasured items. To find out about events related to Sappho to Suffrage and other exhibitions, talks and events at the Bodleian, please see our visitor information pages. Interested in hearing from us about events, exhibitions and other news? Sign up for our email newsletter and we will keep you updated throughout the year. Visit the sign up page on Bodleian Libraries website to submit your details.